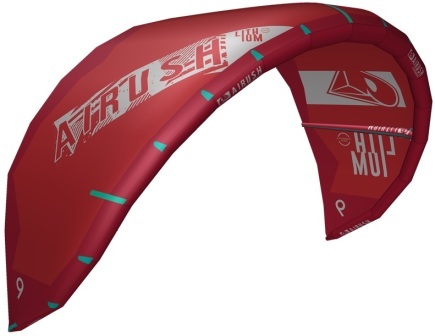 The Lithium is a pretty plug and play kite for all uses, all conditions and all riders. 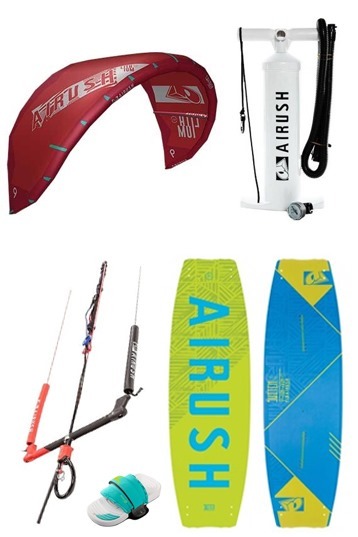 It excels in gusty conditions and is the best relaunching kite in our range. New for 2013 there is a Lighter bar pressure setting on the bridle attachment near the center of the leading edge. Use this for a lighter slightly different feel than the standard setting. I would recommend as with most kites, If you ride with the bar relaxed 100-150mm (4″- 6″) away from your quick release (or chicken loop), you could probably tie an extra knot ABOVE the standard setting on the pigtail, this will give you faster turning and a bit more power. Airush has designed the Lithium for allround use. What's striking about the Lithium is its shape: a clearly defined delta shaped kite, which has its effect on the flight behaviour. 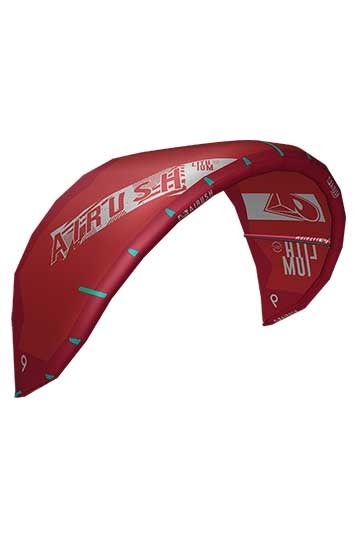 The Lithium provides a lot of feedback through the steering lines, is easy to relaunch, has good sheet&go performance with a small turning circle around the middle strut of the kite. The Lithium has ample stability in the lower sections of the wind window and a good drift for wave riders. Higher up in the window however, it has a slight tendency to tilt. By looking at the airflow behind the leading edge, you can see that the cloth becomes restless if the kite is fully depowered. Not a major issue, but definitely something to take into account for wave riders looking for gusty offshore winds. The Lithium has great characteristics for beginning to slightly advanced riders and can be recommended for wave riders as well. great drift, the kite stay's stable on the edge of the windwindow. The Lithium was easy to fly! That was my first impression. Little heavy on the bar but a good feedback. Kite 4 allrounders who like to jump. I liked the sheet & go on the bar, makes jumping a lot more fun! Great one to try for the weekend kitesurfers. Big range, easy control, great feedback and safe! It's my first full year and learned how to ride with Cabrinha Switchblades and demoed the North Rebels - 011's and 013's (another great kite btw). My impression of the Lithium, well I bought one. I demoed a 10 meter Lithium and rode my newly purchased 9 meter. The winds were 15-20 mph in medium waves. I weigh 72 kg (158 lbs) and I had just enough wind on my North Crossride tt.